This week's SoxProspects.com Player and Pitcher of the Week honorees toil at opposite ends of the farm, but both saw themselves dominate the polls as well as the competition: Rafael Devers of the DSL Red Sox and Anthony Ranaudo of the Pawtucket Red Sox. Devers, 2013's big international signing, is off to a blistering start in his first season of pro ball, recording hits in every game in the young season. His scouting report leans heavily on his raw power, so one would be forgiven for failing to anticipate this week's three triples and a stolen base. He is currently the fourteenth-ranked prospect in the organization by SoxProspects.com. Ranaudo set himself apart from a strong field this week by keeping runners off the basepaths, holding the Durham Bulls (TB) to only two hits over seven innings of work while striking out seven and earning the win on the road on June 6. 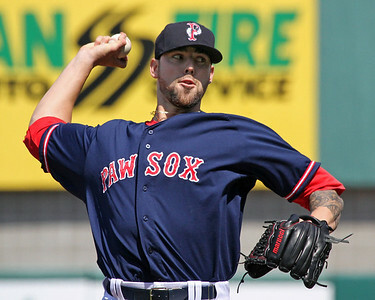 This is Ranaudo's second SoxProspects.com Pitcher of the Week award this season, having previously won for the period of April 28 - May 4. 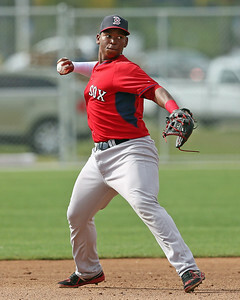 He is currently the sixth-ranked prospect in the organization by SoxProspects.com.